In Part 1, I asked, why was 2008 different to previous financial crises? My answer is that, in large parts of the globe, it wasn't. And, my answer is also that it is wrong to believe that the interests of the dominant section of the ruling class, the owners of vast amounts of fictitious capital and landed property, was to see a restoration of rapid economic growth, as opposed to a rapid reflation of the collapsed prices of their shares, bonds and property. That is why unlike every financial crisis, in previous long wave cycles, they continued pumping huge amounts of liquidity into circulation long after the credit crunch had ended, and combined it with measures of fiscal austerity, so as to restrain aggregate demand, and slow the pace of economic growth! 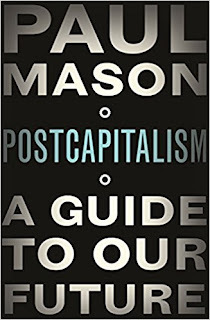 Indeed, the situation in the immediate aftermath of 2008, is informative, in relation to the point I made at the start, in relation to the term Neoliberalism. Faced with this crash, and the spill over into the real economy, the first reaction of states was to intervene, on a massive scale, and to reach for the old Keynesian levers. As Samuel Brittain put it in the FT, “We are all Keynesians now”. They not only pumped liquidity into circulation, as Friedmanite doctrine required, but they reached for fiscal levers to increase spending, they nationalised the banks, and in the US, effectively nationalised the big car producers, they used government money to buy up homes and so on. A look at the graph of the recovery shows a traditional “V” shape for the US, UK, and EU – at least until 2010. What changes in 2010? In the US, the Tea Party begins to have success in promoting a right-wing populist message; the Tories, who until then had been promising to outspend Labour, recognise the political advantage that this Tea Party approach has for consolidating their own core vote (especially as it appeared that they would lose the next election anyway), and adopts it; and conservatives across Europe adopt the mantra of austerity. US growth continued higher than in the UK and EU, despite attempts by Republicans, under Tea Party pressure, to limit Obama's fiscal stimulus. If you want to know why there has been slower growth, since 2010, its because Neoliberals desired slower growth, because that way more profit could go to dividends/interest and rent, to slow the fall in yields; because it restrained the growth in the demand for labour-power, and rise in wages, already seen prior to 2008, that began to squeeze profits; and because it thereby prevented interest rates from rising, which is what always is the cause of speculative bubbles bursting. 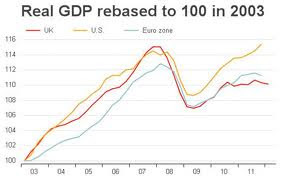 And, with growth thereby restrained in the EU, as the world's largest economy, it necessarily impacted growth elsewhere, particularly the EU's major trading partners. Paul also draws out the real meaning of austerity by quoting the CEO of Prudential, who set out an argument against trades unions, workers rights, the minimum wage etc. But, this again emphasises the distinction I have made between conservative social democracy and progressive social democracy. Here a CEO, a direct representative of shareholders, owners of fictitious capital, running a company whose business itself is the management of financial assets/fictitious capital, makes the case for low wages, so as to maximise profits, so as to maximise interest, so as to keep asset prices inflated. However, in the longer-term, this model is self-destructive, and that is not something new. In Theories of Surplus Value, Chapter XXI, Marx discusses the work of Thomas Hodgskin, who noted that if more capital per worker is accumulated, in order for the same rate of profit (interest as Hodgskin terms it) to continue, the worker must produce more and more profit, until it becomes impossible to produce more. Marx compares it to the situation with actual compound interest. And, that is precisely the problem the Neoliberalism has faced. Dividends are only a form of interest. Interest accrued, for example, used to buy additional shares or bonds, pushes up the price of those shares and bonds, particularly where the number of those shares and bonds issued does not rise in line with the additional demand. Competition should determine the rate of interest on these shares and bonds, so that, as their price rises, the yield (rate of interest) falls. But, if the yield falls, the motivation for holding those assets is reduced. However, the shareholders appoint the executives who determine how much of the profits will be paid out as dividends, and can also use company profits to buy back shares, boosting profit per share ratios. So, the executives, acting as representatives of shareholders, rather than of the company, i.e. the socialised capital, can simply increase the amount paid out as dividends, irrespective of what a market rate of interest/yield might be. 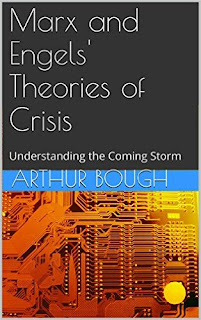 In effect, what they are doing is taking what is rightfully, in economic terms, the capital of the company, and turning it into revenue (dividends) and handing it instead to shareholders, who are merely creditors of the company. Some of the worst excesses of that has been seen with companies like BHS, where even the capital that should have gone into workers pension funds, has effectively been stolen too. That is why, as Andy Haldane, at the Bank of England, has described, where in the 1970's only 10% of profits were paid as dividends, today it is around 70%. 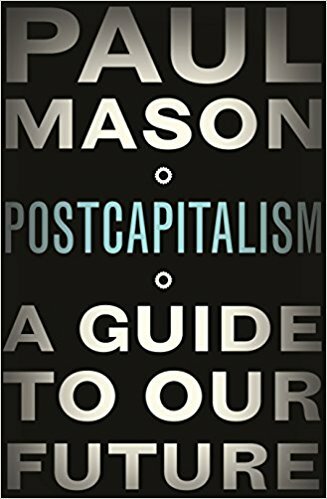 But, if the real capital of companies is thereby effectively undermined, the potential for increasing future profits is also undermined, in the same way that usury undermined previous modes of production, and with it the possibility of increasing the mass of interest, is also undermined. That is why, although temporarily, and even as the period since the 1980's has shown, even for quite an extended period, the owners of fictitious capital can be dominant, ultimately, they are subordinated to the needs of industrial capital, because it is only the latter which produces the profits from which their interest and rent is paid, and upon which the value of their assets are determined.